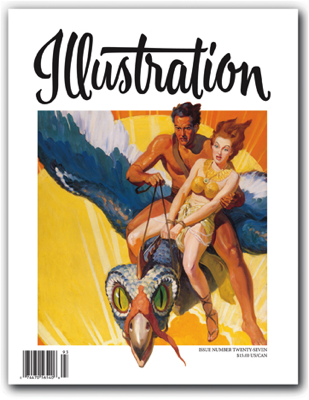 In this issue: David Saunders profiles Rudoph Belarski, famous for his hundreds of pulp and paperback cover paintings. This is the most in-depth profile on his work yet published. Next up—Lou Irmo profiles Australian master Norman Lindsay, and his work in America. Wrapping up the issue is Part Two of Aron Gagliardo’s profile of Chicago’s American Academy of Art. Book reviews, exhibitions and events, and more! 112 pages in full color. Sold out.